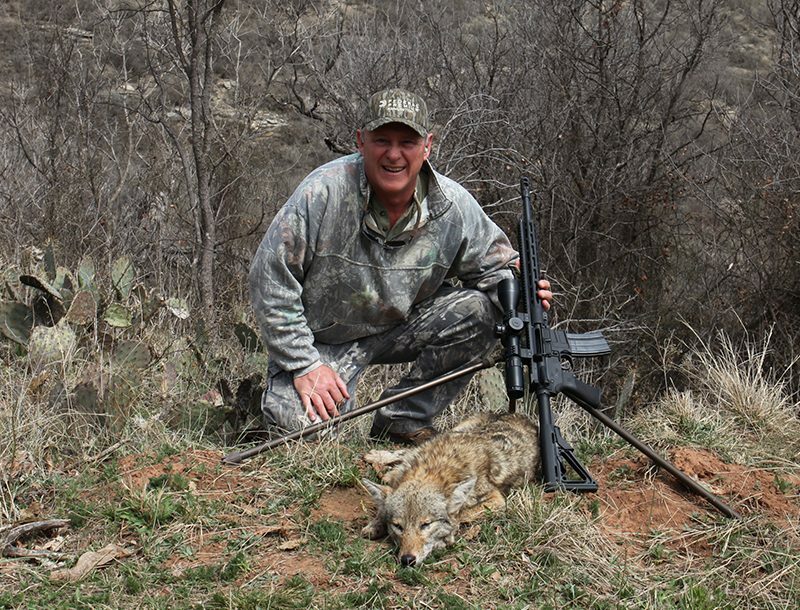 The CW9 is one of Kahr’s most popular models due to its shooting comfort, and smaller, thinner, lighter frame making it perfect for concealed carry. 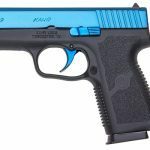 Kahr Firearms first custom option for the CW9 are 3 special edition pistol designs. 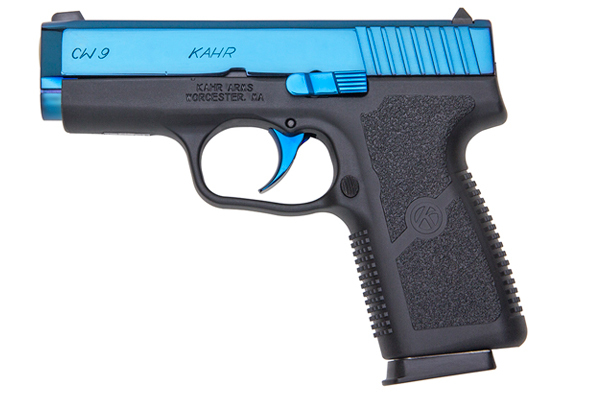 The first custom option for the CW9 is the Kahr CW9093CSBL in a PVD electric cobalt blue. The black polymer frame complements the PVD cobalt blue slide, trigger, slide stop lever and slide back plate. 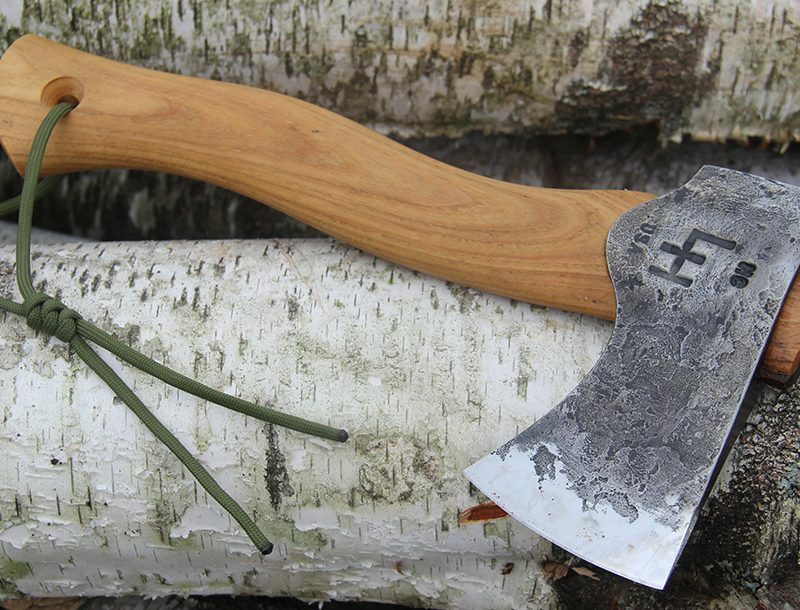 The durable finish makes it perfect for everyday carry, or for collectors. 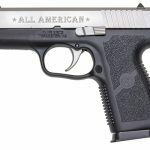 Second option is the Kahr CW9093CSPU, patriotic “All American” model featuring engraving on the left side of the slide that says “All American”. The right side of the slide provides an engraved field of American flag stars, and the top rear of the slide features an engraved pin-up girl posing in front of an American flag, reminiscent of the WWII era. 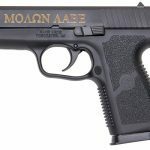 The last in the special edition CW9 series is the Molon Labe, model number CW9093CSML. This model is featured with a blackened stainless steel slide and enriched with 24kt gold engravings. The slide features 3 engraved features, including a polished Spartan Lambda Shield on the top rear of the slide, and a Spartan helmet on the right side of the slide. Engraved on the left side of the slide is the Latin text, “MOΛΩΝ ΛΑΒΕ” which translates to “Come and take them”. This Latin phrase stems from King Leonidas’ response to the Persian Army’s demand that the Spartans surrender their weapons. 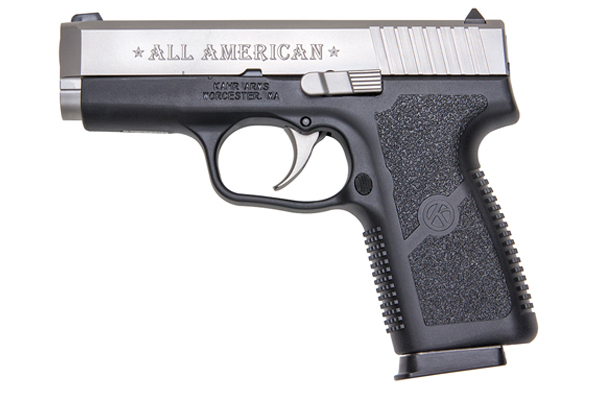 CLICK HERE to see New Kahr Arms Handguns for 2014 Video! Due to the collector value of the 3 special edition pistol designs in the CW9 series, the production run is limited to only 200 of each model. Availability on the 3 special edition models will begin in early 2014. The handguns have an overall length of 5.9”, height of 4.5” and weighs just 15.8 ounces. The barrel length is 3.565”. 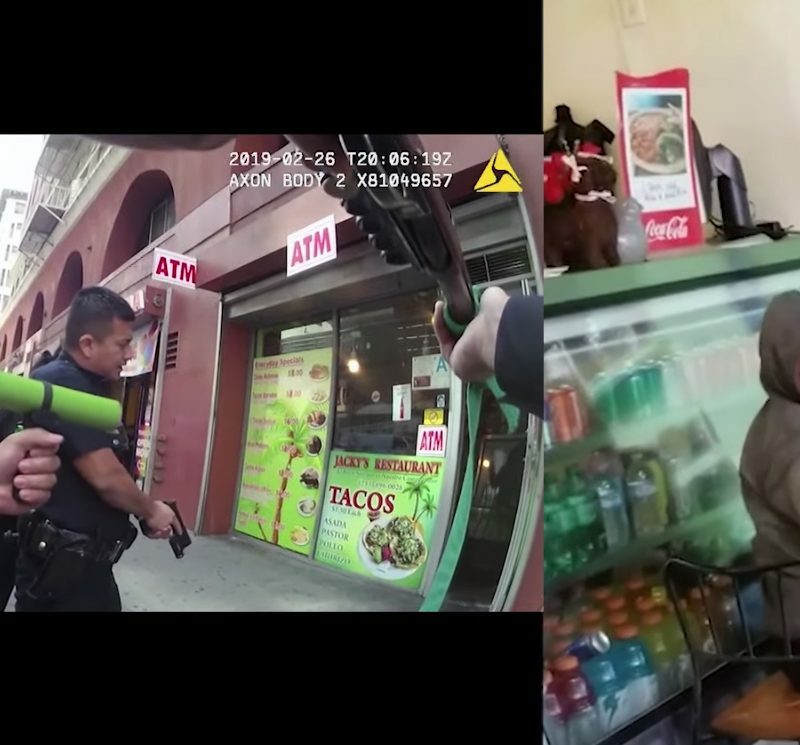 The sights are drift adjustable, bar-dot combat rear sight, and pinned in polymer front sight. Load capacity is 7+1. The CW9 ships with one magazine. 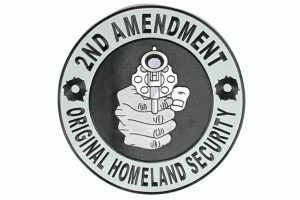 For more information on the CW9 Series, visit: www.kahr.com.